Old Stock and Bond certificates are an excellent way to teach students about the stock market. Our company is committed to help in this effort. 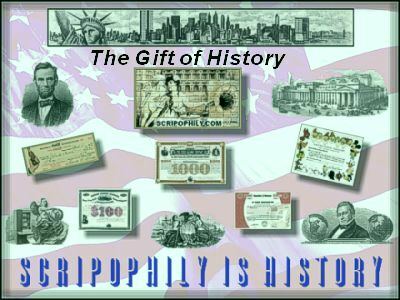 Scripophily.com is sponsoring a program where we will provide certificates very inexpensively if they are being used in schools for educational purposes. Feel free to call us at 703-787-3552 and ask for Bob for details.